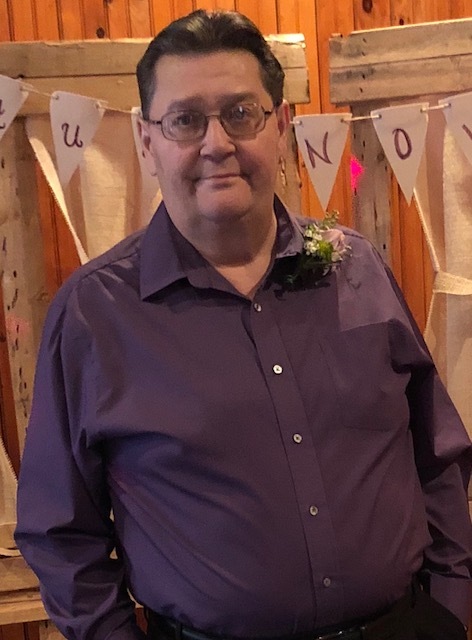 Jack E. Weaver Jr., 65, of Minersville, originally from Orwigsburg, passed away on Friday July 13th at the Penn State Milton S. Hershey Medical Center, Hershey, Pa.
Born in Pottsville on August 31, 1952, he was a son of the late Joyce (Freed) Gerber of Orwigsburg and the son of Jack E. Weaver Sr. husband of Diana (Weiss) Weaver of Freidensburg. He was a 1971 graduate of Blue Mountain High School. Jack also played football for the Blue Mountain Eagles. Jack and his brother Harold had their own coal business in 1985 known as Weaver Brothers. He was a also a delivery driver for 11 years for Diamaggio’s Pizza until becoming ill. He will be missed by many customers. Jack was an avid Pittsburgh Steeler fan for more than 50 years. His favorite saying was “C’mon, Let’s Go Steelers”. He was a member of the St. Clair Lions Club and the West End Hose Co. of Pottsville. He was an avid Bingo player at the St. Clair Lions Club, HH& L 31 in Pine Grove, the Ryan Twp Hose in Barnesville and the Tower City Lions Club. He had a lot of good friends at all these places. Jack prayed and read his Bible and Devotionals everyday. He took Jesus to be his Lord and Savior in 2015. He believed in God and his faith was strong. On June 27, 1998, he married the love of his life, Rhonda A (Rodgers) Weaver at the First United Methodist Church, Pottsville. Jack was also a member of St. John’s First United Church of Christ of Orwigsburg. In addition to his mother he was preceded in death by a brother, Randy Weaver, a nephew Anthony D'Agostino and a step father Lewis Gerber Sr. Surviving in addition to his wife and father are 3 daughters, Michelle Weaver, Minersville, Kim Weaver, Pottsville and Tiffany (Weaver) Huff and her husband Ryan of Schuylkill Haven; step-children whom he loved as his own, Tammy (Rodgers) Carroll (fiancé Juan) Duncott, William Rodgers (wife Gwen) Port Carbon), Kimberly (Davis) Kunkle (husband Trevor), Lehighton and Robert Jobrey Jr. (wife Tracie), Schuylkill Haven; brothers Harold Weaver (wife Kathy) Schuylkill Haven, Leon Weaver (fiancée Denise) Orwigsburg, Michael Weaver (wife Karen) Shomakersville, Joe Seiders, Minersville, Rodney Anderson (wife Beth) Hampton Va., and Ken Kramer (wife Sue) Tennessee; sisters Janice D’Agostino, Minersville, Connie Arturet, Conway S.C. and Debbie (Weaver) Deegan, Schuylkill Haven; 12 grandchildren, whom he loved and was known as “Pappy Jack”, Abigail Westhafer, Minersville, Autumn Huff, Schuylkill Haven, Zachary Carroll, Duncott, Tyler Rodgers and Olivia Rodgers, Port Carbon, Bobby Davis, Gratz, Kyle, Kasey and Delilah Davis, Lehighton, Cody Wallace, Shenendoah, and Rayven and Savanna Jobrey, Schuylkill Haven; his favorite cousin Richard Anderson (wife Sandra), Hampton, Va. and his best buddy Dave Kolbe, Orwigsburg; nieces and nephews. Jack will also be missed dearly by his fur buddies Hannah and Bella.